Sarajevo has plenty of venues offering live music – from rock bands playing in local bars, to more sophisticated jazz clubs and classical music concerts. Whether you want to enjoy a few cold beers and relax after a day of sightseeing, or party into the night, Sarajevo has something for you. The city constantly hosts a range of concerts, making the capital an excellent place to come for music all year round. Here are some of the best venues for live music in Sarajevo – from the mellow to the rowdy. Where better to soak up live music than at the National Theatre? Visitors can enjoy a selection of classical music along with ballets and dramatics in Bosnia’s most important cultural centre. The building has an architectural charm, too, which is designed by Karel Parik, one of Sarajevo’s leading architects. 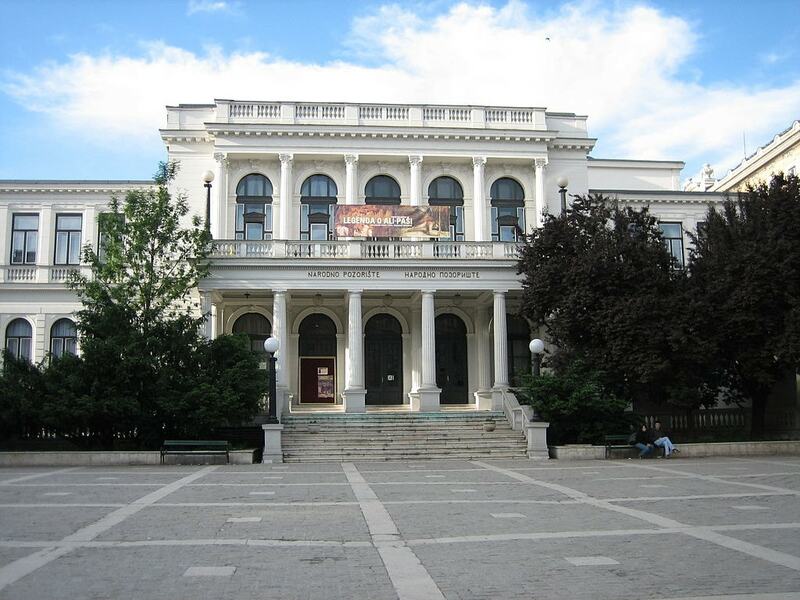 The main highlight is Sarajevo’s Philharmonic Orchestra, which holds regular shows throughout the year. Tickets are affordable compared to Western European standards, but it’s strongly advised to make reservations in advance. If you’re looking for a night of live jazz and blues with cheap drinks, check out Pink Houdini in Central Sarajevo. The interior features eclectic décor with old furniture, instruments, and photos of jazz legends on the walls. Pink Houdini has live music at least two nights a week with draft beer and local wine. The club enforces a strict smoking ban and is open 24 hours and serves a selection of food, so you can always find an excuse to unwind for a few hours at the Pink Houdini. Branilaca Sarajeva 31, Sarajevo 71000, Bosnia and Herzegovina, +38763895195. Pro Rock Club Johnny holds live rock performances every weekend. The bar in the Dolac Malta neighbourhood, a few kilometres to the west of Central Sarajevo, has an intriguing back story. Under Yugoslavia, the band Azra were believed to have caused a revolution in rock music during the days of socialism. Lead singer Branimir Stulic, also known as Johnny, eventually left the band and moved abroad. But rock fans in the Balkans still adore and worship Azra, which is why Johnny has a bar dedicated to him in Sarajevo. Drinks are affordable and range from beer and vodka, to soft drinks and coffee. Being a short distance from the centre, you may want to either take a taxi or use the tram. Opening times: Sunday to Thursday 8:00am to Midnight; Friday and Saturday: 8:00am to 2:00am. Jazzbina offers live music ranging from bands to DJ’s. Each night is dedicated to a different genre or theme, making the bar a favourite spot for local students. If you’re a fan of jazz, head down on Monday evening, while blues fans should come on Tuesdays. Other live bands from the rock and punk genres as well as DJ’s have regular spots, too. The centrally located bar attracts both locals and tourists for the affordable drinks and diversity in music. Opening hours: daily from 10:00am to 2:00am. Jazz Fest Sarajevo is an annual event in the first week of November where a total of 19 concerts take place at Dom Policije, located to the immediate north of Veliki Park. Some of the best regional and international artists descend into Sarajevo for a week of jazz and fun. If you’re in the city during the festival, attending one of the events is a must.